For many organizations, moving to the cloud is all about scalability. However, if your organization is migrating sensitive or regulated data to the cloud, security is a critical requirement - and a significant potential roadblock. Quite simply, the security mechanisms employed can undermine, or even negate, the cloud's scalability benefits. Join your fellow professionals to explore effective strategies for optimally deploying data protection solutions, specifically encryption and key management in cloud environments, so you can realise both maximum scalability and security. 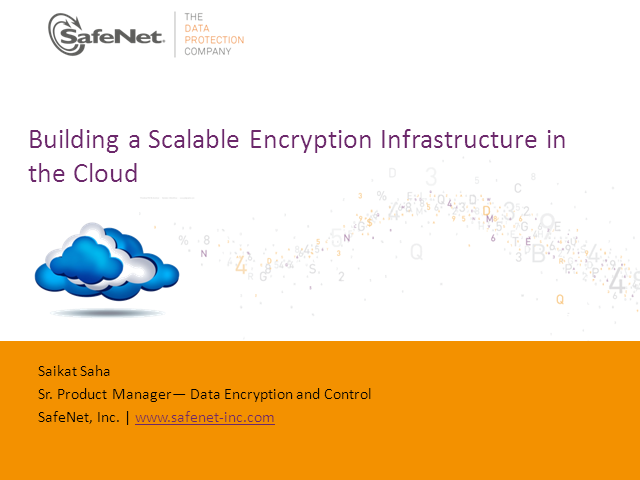 In addition, the webinar will discuss how, by leveraging open standards, you can centrally manage all encryption keys and policies, both in the cloud and in other environments, so you can optimize administrative efficiency.